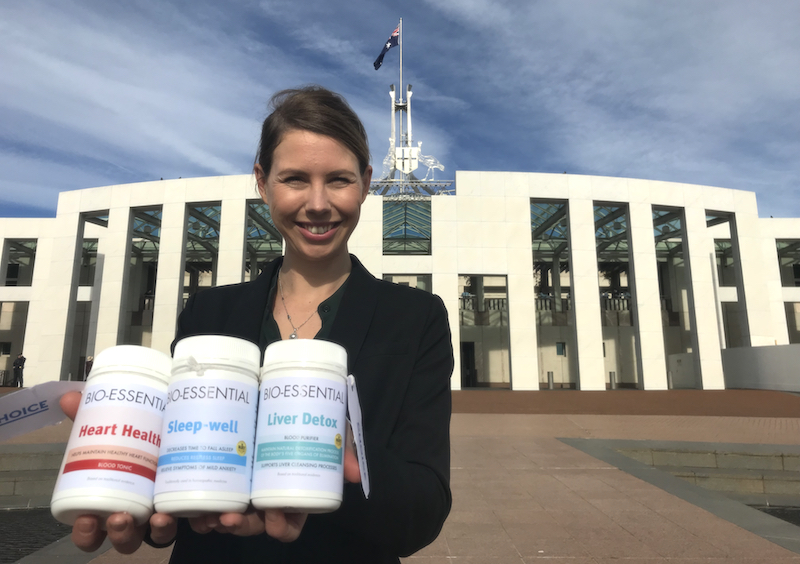 CHOICE campaign urges Senate to support truthful labelling on health benefits of supplements. CHOICE is urging consumers to email their Senator regarding proposed new laws that would see companies display untested and unproven claims for supplements. If a bottle of vitamins in the chemist says it supports heart health or provides relief from anxiety, you should be able to trust those claims. But right now the Senate is considering laws that could see companies display dangerous and potentially misleading claims on therapeutic goods like vitamins and supplements – claims that aren’t backed up by scientific evidence. All these claims could soon be made on vitamins and supplements despite having no scientific evidence. I’m at Parliament House dropping off these bottles full of sugar lollies at every Senator’s office to remind them that supporting truthful labelling is essential, especially for products spruiking serious health claims. If you want to separate fact from fiction on vitamins and supplements, tell Senators to stop these laws going through and make sure companies selling health benefits have to back up their claims with science. Your email to Senators will make sure they take note of the bottles we delivered today. Once they see these claims in action, they’ll understand that people need to be able to trust the claims they read when buying therapeutic goods. If this legislation isn’t stopped by 25 June 2018, products like these will be allowed to be sold in chemists and supermarkets. Write to your state or territory Senators now. Click here to go to the original post on CHOICE. Read more about the campaign and the proposed legislation here and here.